Whether you Hunt when the doe's are in Heat or not, this combo has it all! 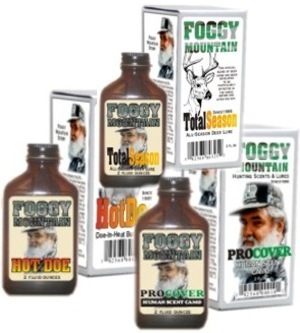 HotDoe - Doe-in-Heat Buck Lure, TotalSeason - all season deer lure and the world's best cover scent - ProCover all for $5 less than the single bottle price! Free Shipping, too!